Béziers is a town in Languedoc in southern France. 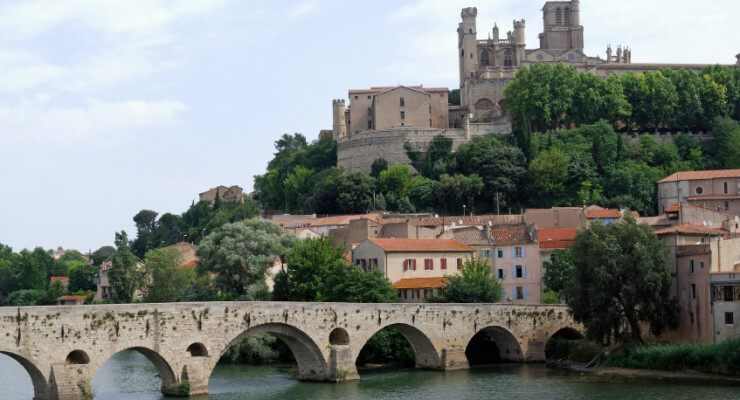 Béziers is one of the oldest cities in France and dates from 575 B.C. Béziers hosts the famous Feria de Béziers, centred on bullfighting, every August. A million visitors are attracted to the five-day event. The town is located on a small bluff above the river Orb, about 10 km from the Mediterranean. At Béziers the Canal du Midi spans the river Orb as an aqueduct called the Pont-canal de l’Orb claimed to be the first of its kind.